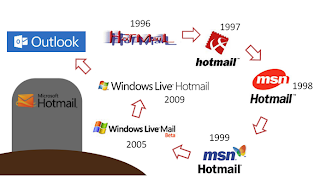 The outlook has been named to the Microsoft Other Popular desktop based email service; ultimately every user of Hotmail will be transferred to Outlook.com but there is no exact date is given by the Microsoft for this to occur. Although all Hotmail users can keep their @live.com or @hotmail.com email addresses, but for the new users’ @hotmail addresses will not be available, users only have to pick their email address from @outlook.com or @live.com. Head of Microsoft Window Live Division, Chris Jones said “We thought it was time to push the boundaries of email”. Microsoft Launched Hotmail 16 years ago, Hotmail has hit 325 million users in this world. This makes Hotmail the leading email service, as the lead of Hotmail has seen to be decreasing. Google’s gmail.com has achieved now about 298.2 million users and Yahoo is not that much farther it has 292 million users. The principle thing users will notice around the fresh Outlook.com web Application is it looks graceful and smoother than Hotmail and even form Gmail or Yahoo. Microsoft has claimed that they had reduced about 60 percent header space as compared to Google’s Gmail, after sign in Outlook takes the user straight into their email. Users of new Outlook.com have the pleasure of connecting with Facebook, Google, Twitter and LinkedIn contacts to catch all social information and picture icons when they are emailed to their social contacts, uses now can have an IM with Facebook Contacts. Video chat through Skype service which is now the property of Microsoft they had purchased it a year ago at 8.5$ billion is also in the pipeline and soon will be a part of Outlook.com. Outlook.com has also introduced some clever features which was never introduced in email services, Outlook users have the luxury of a service which spontaneously detects newsletters and promotional offers , emails that are characterized as ads by Outlook will be adding an unsubscribe button to the email message. Another state- of- the- art feature is whenever you order a product online and it updates came about the ordered you have made a button on the top of the message will be added and it will take you right on the tracking website. As reported Microsoft goal is to one billion users around the world, with their previous email service they might not be able to achieve it, but the new Outlook.com might put them in the driver’s seat.